Fresh from deflecting a takeover, the Dutch group is considering a merger of its paints unit with its U.S. rival. A combination makes sense. But new CEO Thierry Vanlancker is already grappling with weak results and a chemicals spinoff. That raises the risk of dropped balls. Akzo Nobel on Oct. 30 confirmed it was in “constructive discussions” about a “merger of equals” with U.S. rival Axalta. 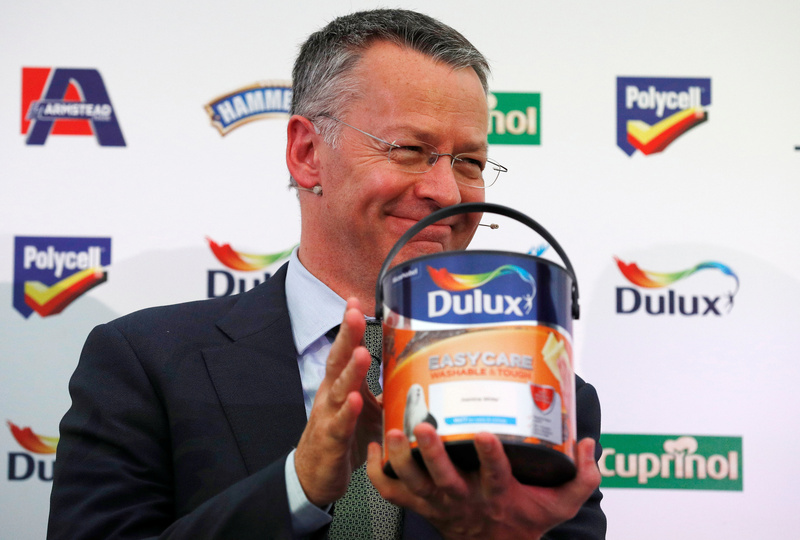 The Dutch maker of Dulux paint confirmed the talks after Reuters reported on Oct. 27 that Akzo had approached Axalta about a possible merger. Akzo said the talks would not affect its plan to sell or spin off its specialty chemicals division and return the “vast majority” of proceeds to its shareholders. Akzo shares were down 0.4 percent at 77.17 euros by 0930 GMT on Oct. 30. Axalta shares closed at $33.15, up 17 percent, on Oct. 27.